Institute of Administrative Sciences (IAS) annually conducts a talk and an activity on the International Women's Day to deliberate on the prospects and challenges of engaging women at all levels in our society and to appreciate efforts of successful women from all spheres of life. 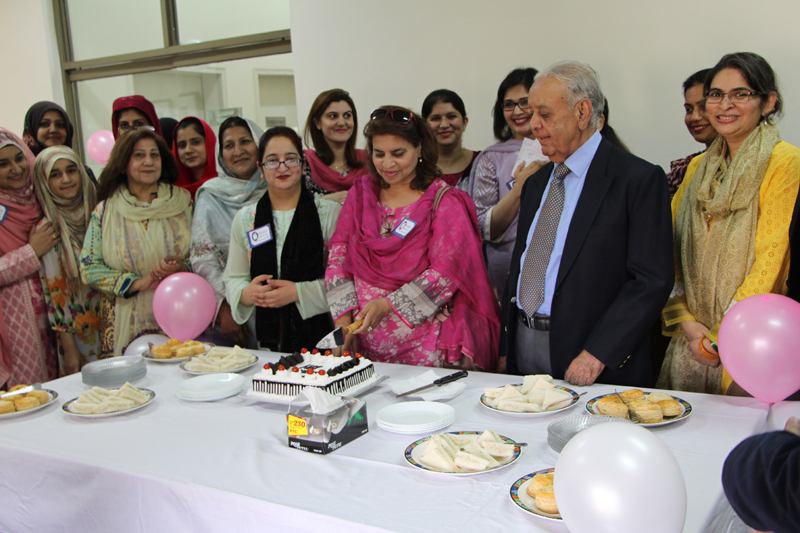 Keeping in that stream, this year, IAS and HR Legends collaborated to celebrate International Women’s Day at the institute today. While IAS is a distinct and pioneer institute offering Human Resource Management education at graduate and post-graduate level in Pakistan, HR Legends is an emerging HR forum promoting networking and development of human resources in the country with one of its foremost initiative of developing Women Leaders Forum. Both IAS & HR Legends have recently signed a MoU to collectively work for leveraging the HR potential of youth in this regard. The seminar was planned for highlighting Women Empowerment and role of Human Resource Professionals and policies in this regard. 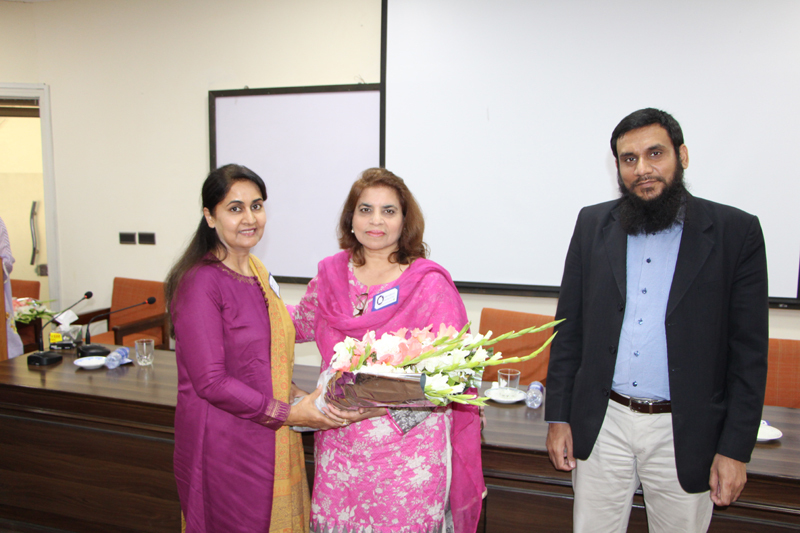 Dr. Amani Moazzam – Assistant Professor at IAS lead the seminar by inviting Prof. Dr. Nasira Jabeen to address the audience. 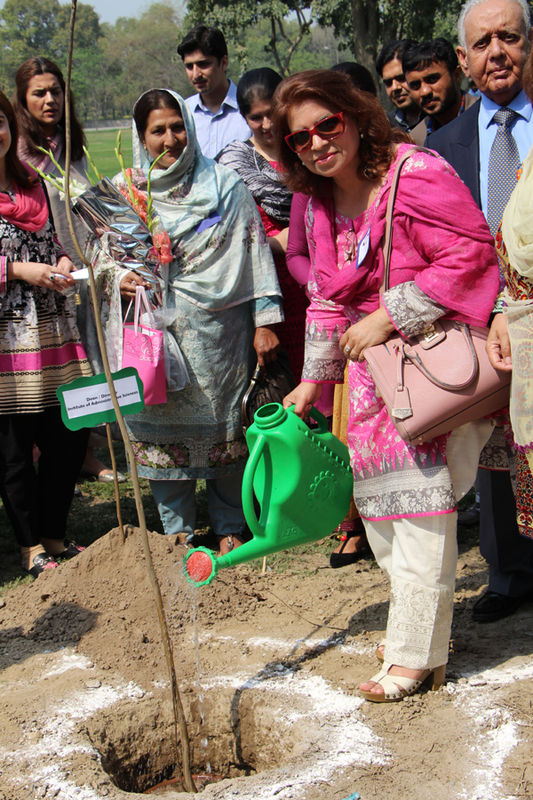 Dr. Jabeen said that Women’s Day is a day to recognize the efforts and struggles of women in all familial and work roles they perform. It is a day to reflect back on the achievements of such females who worked day and night to prove their mettle and take inspiration from them to move forward specially in hard times. Dr. Nasira shared some statistics by World Economic Forum for Gender Parity Index of access to education to all females. She shared that women constitute about 51% of the population, and according to Global Gender Gap Report 2017 by World Economic Forum; to ensure full development and appropriate deployment of half of the world’s total talent pool, this percentage has a vast bearing on the growth, competitiveness and future-readiness of economies and businesses worldwide. Mr. Ghulam Mustafa – Manager HR Technologies Coca Cola Icecek and co-founder HR Legends was then invited to share about HR Legends and its initiative of establishing Women Leaders Forum. He shared about Youth Inspire Program by HR Legends for the students that can help them to polish their employability skills and build a better career for themselves. For the inspiration of larger population of students and staff, IAS also invited two ladies whose hard work and determination helped them to achieve their goals. 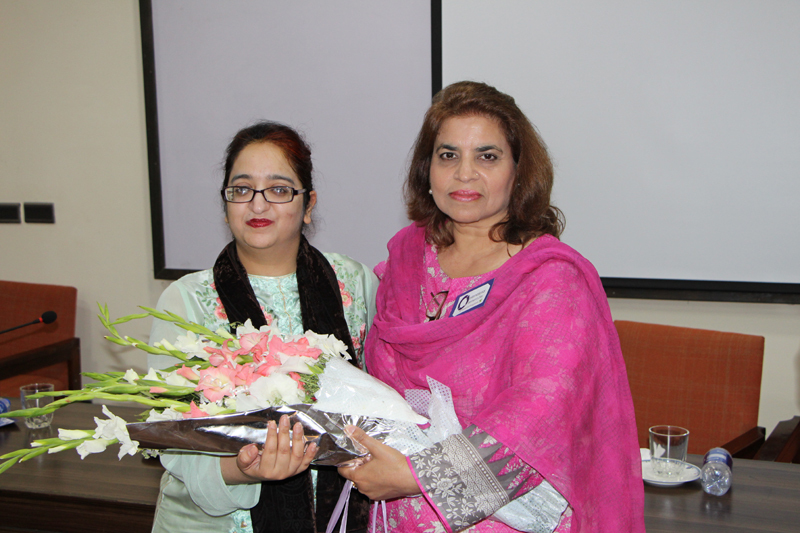 Ms. Nuzhat Rehmat- IAS alumnus shared her journey of ‘pain and persistence’ & achieving her life’s goals while being physically challenged. She gave important messages to the female students to learn the art of selling their skills in the job market. She shared her gratefulness towards the institute for making her able to contribute to the society. Another lady, Madam Munnawar Noor – mother of one of IAS student was also invited to share the challenges she faced all her life and the struggles she had to do to educate her children well enough. For an open discussion about the Role of HR towards Women Empowerment in organizations, a Panel discussion was initiated where the Panel was moderated by Dr. Amani Moazzam and Panelists included; Ms. Fareha Javed – Group Head HR and PACC – Sapphire Fibres, Ms. Mehwesh Karim – National Purchase Manager – Coca Cola Icecek, Dr. Nighat Ansari – Assitant Professor IAS PU and Mr. Mubasher Bukhari – Sr. Journalist and editor Truth Tracker Magazine. Dr. Nighat Ansari shared her views on gender diversity and inclusion and the research based facts of increasing number of women entering the workforce but their potential is not being reaped in a true sense. Ms. Fareha, being the HR Professional from the industry, added to the on-going discussion about the HR Practices that should be gender sensitive to enable equity instead of equality. She shared the statistics that according to a survey, around 53% of women are college graduates whereas out of 14, only 1 job is acquired by a woman. This is a surprising and concerning fact which should be looked into. She talked about the reasons and challenges that women face while deciding to join the workforce including the duties of household chores, mobility for the job, day care centers for working mothers, and flexible working hours, to name a few. 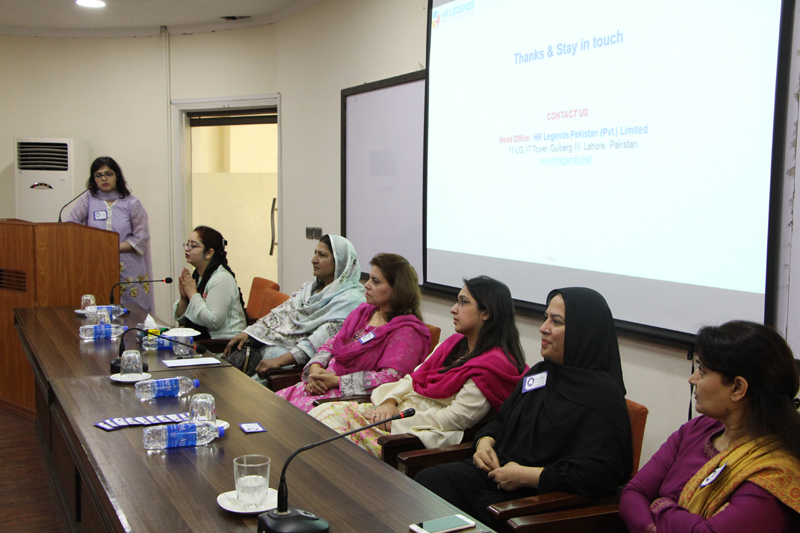 Ms. Mehwesh Karim from CCI shared her personal experience with the HR policies while being in the workplace. She has been fortunate enough to be provided with flexible working hours and to work from home that has enabled her to continue her job alongwith familial commitments. She stressed on the fact that managing women at workplace is a great concern and can encourage many educated women to contribute to the economic growth of the country and this is need of the hour in Pakistan. 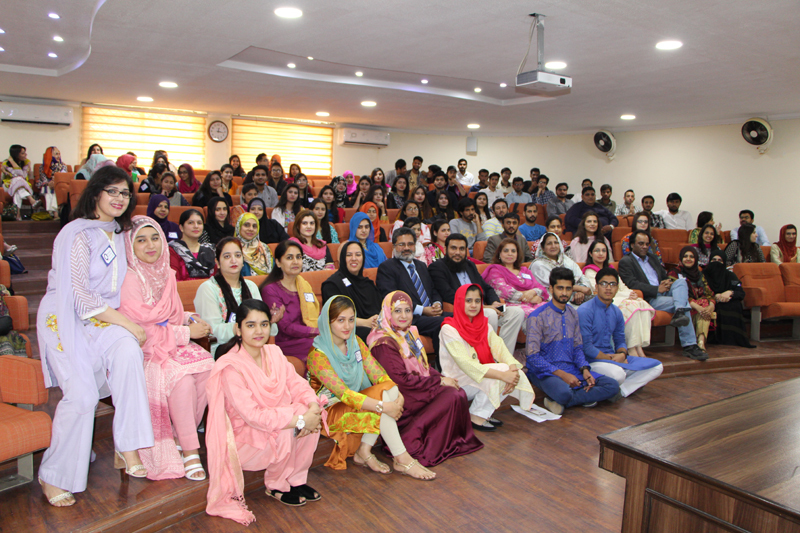 Appreciating the views of Ms. Mehwesh and continuing on the agenda, Mr. Mubasher Bukhari - a senior Journalist, shared about the struggles of women in media industry and how the culture and environment of the organizations and industry shapes the value given to women empowerment. He shared briefly about the known females that have proved themselves in the media industry. After the ground was laid for further discussion, audience shared valuable comments and put questions to the panel. It was a meaningful seminar that stressed upon the integral role of women, gave a food for thought for further discussions and concluded on the lesson that all women should pay back the favors toward other women whenever they can to create an environment where all females can thrive & press forward to progress for all. Director IAS presented souvenirs and flower bouquets to the guests and panelists and appreciated the efforts of the organizing team. 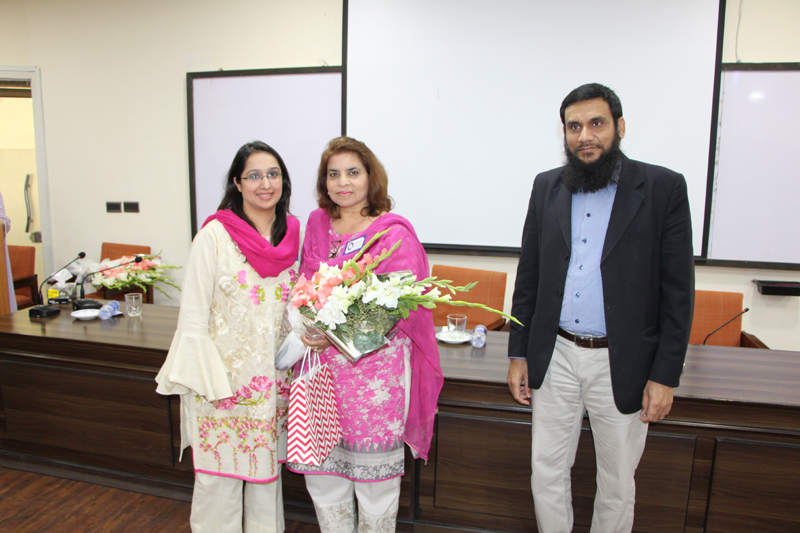 Dr. Amani Moazzam concluded the seminar and thanked HR Legends for their collaboration. After the session, guests, faculty and students shared their messages regarding women’s day on the message wall. 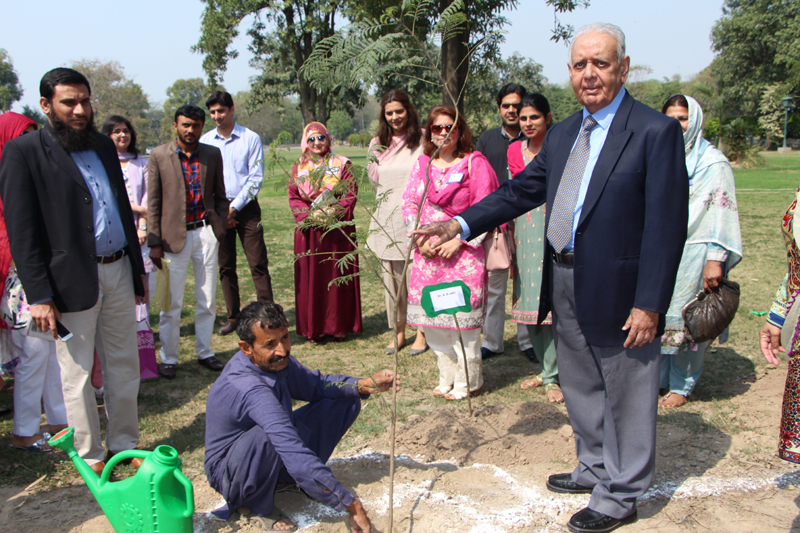 On the same day, IAS also celebrated “Go Green Drive” by doing a plantation activity. All faculty members planted the plants in IAS front lawns to strengthen the policy of IAS being environment friendly institute. 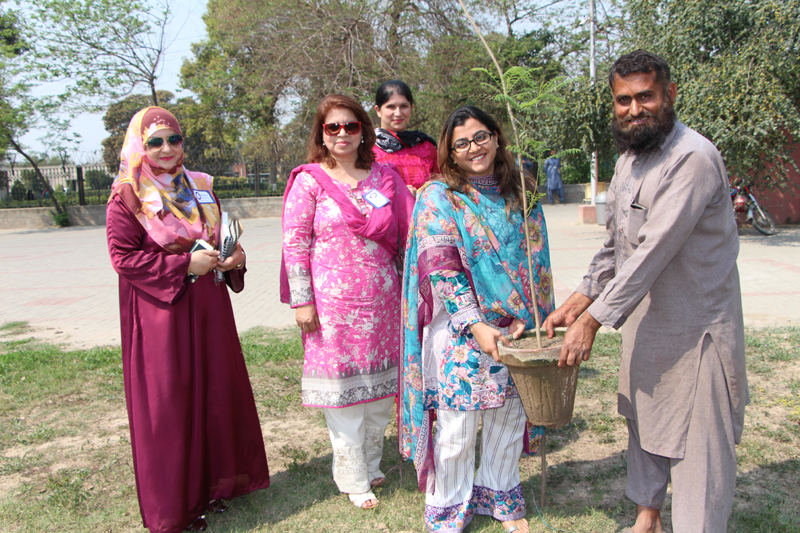 All faculty members greatly enjoyed the activity and showed much ownership for being the part of this eco-friendly initiative. 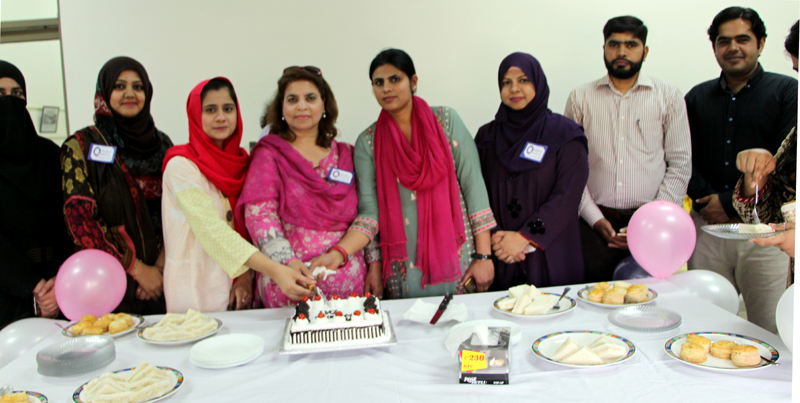 The full day activities were followed by a cake cutting ceremony where Director IAS – Prof. Dr. Nasira Jabeen specially thanked all the male members to join hands for the women’s day celebration and sharing the message of egalitarianism.